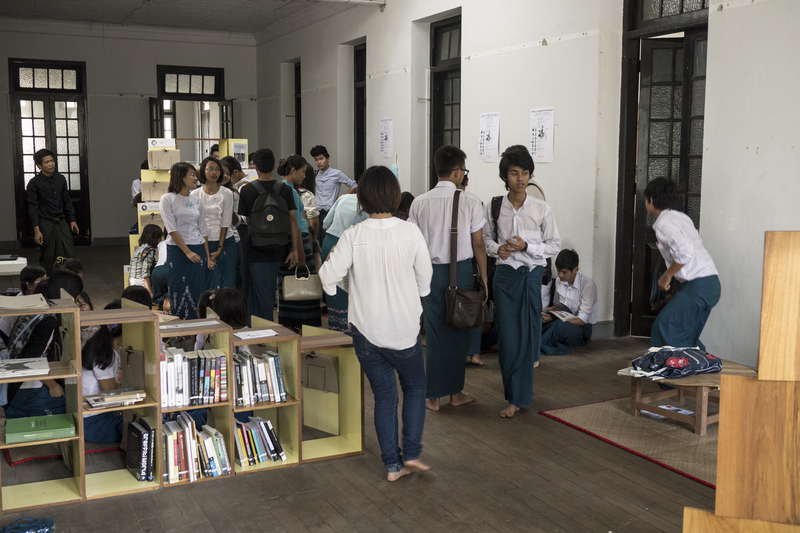 The future Goethe Institut – housed in the former State School of Fine Arts (As well as General Aung San’s former headquarters) – generously supported the Mobile Library Initiative from December 1 – 15, 2014. The books and installation were installed and available for public use daily from 10-4 pm. 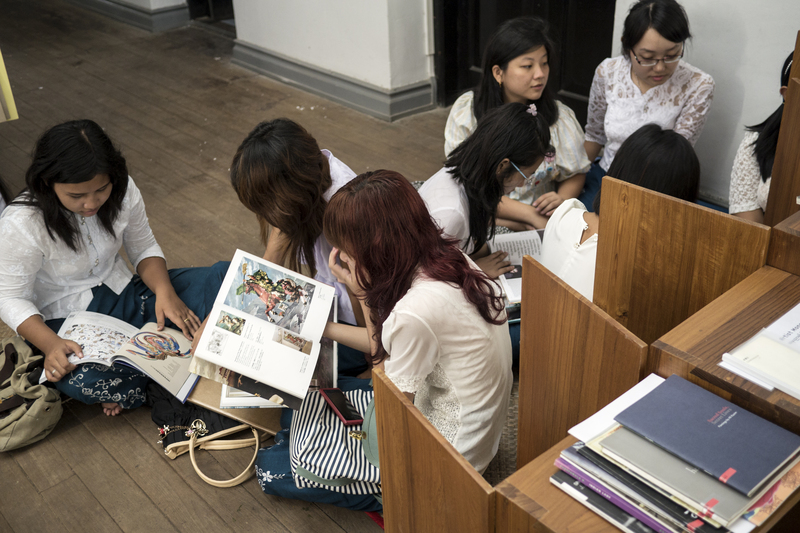 Highlights of the project included an artist talk by Po Po, the creator of the Mobile Library installation and an esteemed contemporary artist in the community. 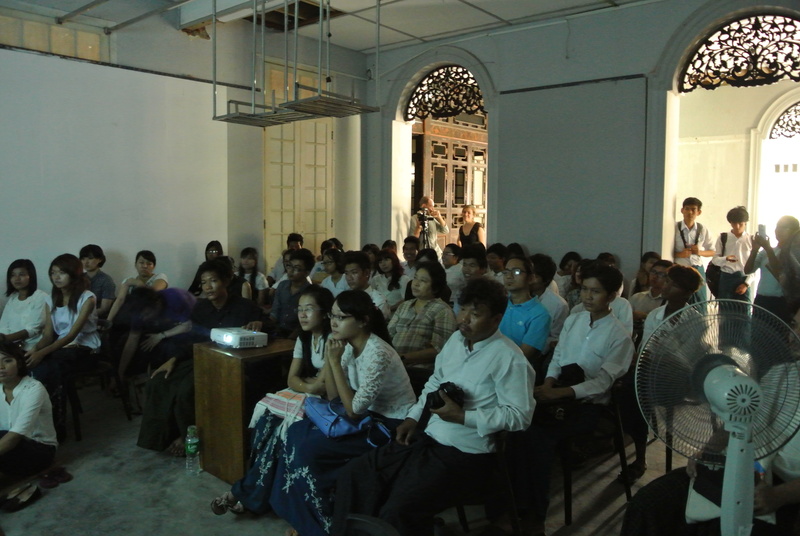 MARCA invited new students from the University of Art and Culture – Yangon to listen to Po Po speak about aesthetics, what contemporary art means, and his own fascinating practice based largely around installation and photography. 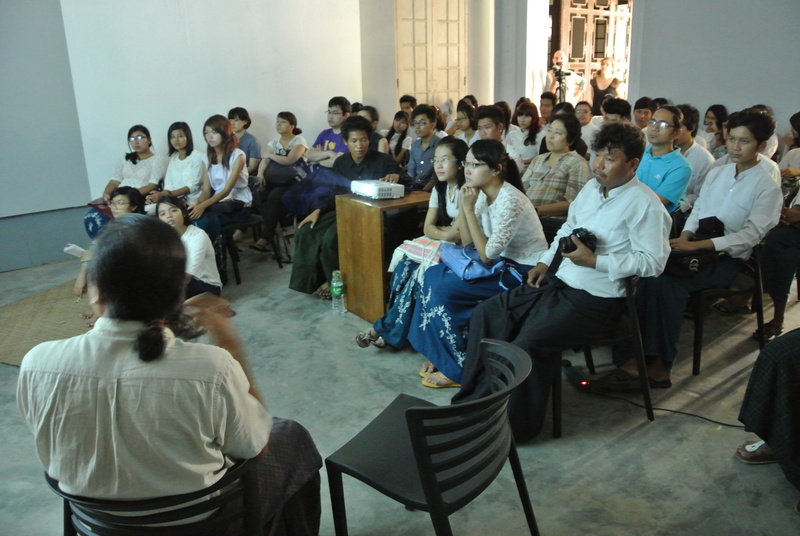 It was a rare opportunity for the Myanmar students to see one of their own artists speak at length. Even our co-director, Zoncy, mentioned that in her 5 years as an artist, she has never seen Po Po speak and was happy to have the chance. 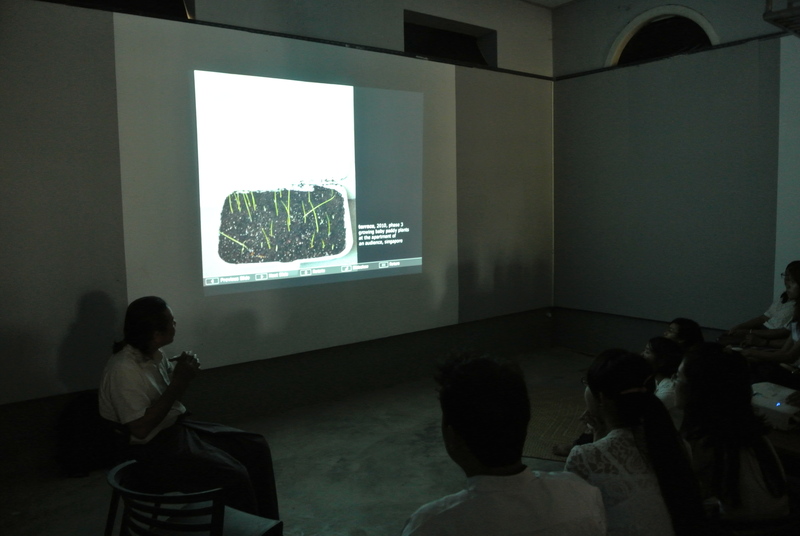 This entry was posted in Uncategorized and tagged Artist - Po Po, Artist - Zoncy, Location - Yangon, Program - Mobile Library, Subject - Contemporary Art, Subject - News Blog on December 22, 2014 by Myanm/art.